I just bought my 2014 911 last November and started to get the Interim Service Reminder even though it was early since the car had such low mileage. I called Reeve's and spoke with Jeff a service advisor and he kindly suggested I wait till this April to complete it which I did. The service scheduling and execution was flawless, I (and most importantly the car) was treated very well while waiting for the car and it was completed before the time frame he estimated and for less than the initial quote. I'm very pleased and will return again for further assistance; it feels really good knowing the car is in expert hands for the scheduled maintenance. Thank you. Always a satisfied customer, great people to work with extensive experience. Reeves Porsche Service goes well above even excellent service. I needed a loaner on a Saturday and even though Service was closed my Service Manager, Jeff Holcomb, was there and he took in my car and got me a loaner. And they did a superb job putting on new tires and aligning them. I always say that when I buy a new Porsche from Reeves, and I’ve bought three over the years, my salesman needs to share his commission with Service because that is why I buy my cars at Reeves. 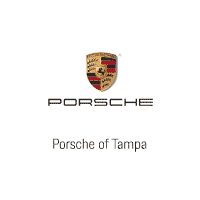 Porsche of Tampa	28.054587, -82.458113.